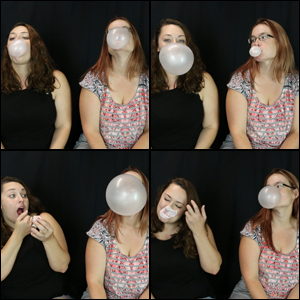 Jeanell and I blow lots of bubbles for you guys in this video! Hers start out a little small but get bigger. I blow some bubbles that are almost head-sized. I do lots of bubbles inside of bubbles, and Jeanell tries it a few times and is somewhat successful, so she’s excited!